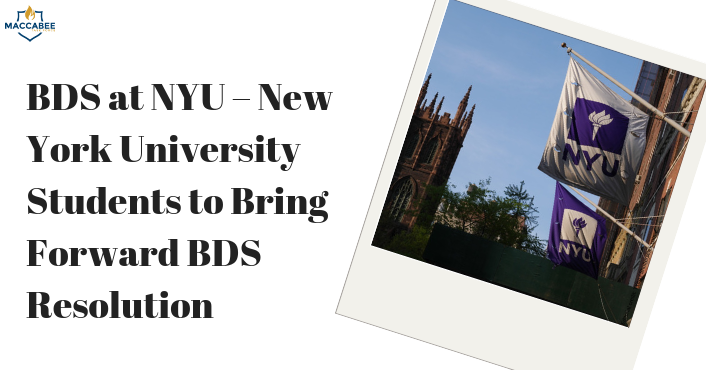 Students at New York University (NYU) plan to promote a resolution supportive of the boycott, divestment, and sanctions (BDS) campaign against Israel in November, drawing opposition from some Zionist campus leaders. The resolution will be brought forward on November 1 by three students senators including Rose Asaf, a co-founder of Jewish Voice for Peace at NYU, the student-run Washington Square News reported. It will be voted on through a secret ballot on December 6, after six speakers from each opposing side of the debate will be given two minutes to speak, and only NYU students will be allowed to attend. Leaders with the student clubs TorchPAC and Realize Israel — both of which were subject to a boycott pledge by more than 50 BDS-supporting student clubs at NYU in April — expressed their concerns over the latest BDS initiative on campus to Washington Square News. Asaf called this position “neo-colonial and paternalistic,” pointing out that Palestinian trade unions approve of BDS. “While I do not agree with all of the policies of the Israeli Government, I would imagine that most people would rightly view an attempt to boycott Americans or divest from all American institutions due to Trump’s policies as ignorant and bigoted,” he added. Adela Cojab, president of Realize Israel and a former senator, said the BDS debate pointed to a broader issue — namely, the lack of representation at the Student Government Assembly.